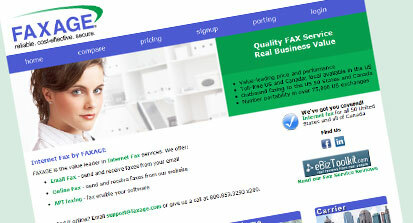 Faxage is considered by many as the market leader in terms of infrastructure, performance and reliability for all internet fax needs- they even serve as the backend provider for many other internet fax services. 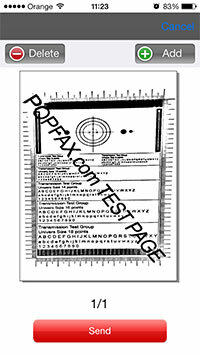 Faxage bills per-minute, is suited for any user, and their dozens of positive customer reviews are their best reference. 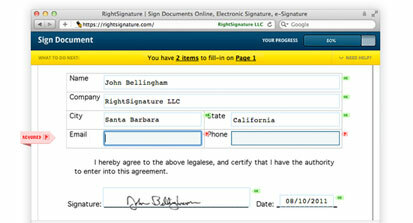 Rightsignature is a revolutionary way of signing documents. Thanks to the ESIGN act of 2000, clients can now receive documents and place their legally-binding signature using their mobile phone, web browser or fax machine, in a fraction of the time it would take if sent in the mail! Need something signed? Be sure to test it with their 5 document free trial! Sign up and experiment with the service. Most providers have a risk-free trial or money back guarantee!